The Croatian Adriatic is an attractive tourist destination not only in summer but also in the merriest time of the year – the Christmas holidays. Although Christmas is mostly associated with the inland, snow and big cities like Zagreb, Berlin, Vienna or Budapest, Christmas holidays on the seaside can also be special experiences that will stay in your memories for a long time. That's why we invite you to spend the Advent in Croatia, where bigger cities have prepared rich and fun Advent manifestations. Ice rinks, concerts, Christmas fairs, Christmas houses with authentic food offers, hanging out with Santa Claus, New Year celebrations on the open, are just some of the interesting Advent events on the Adriatic. Besides, this is a chance to get an insight into the authentic Mediterranean lifestyle of the locals who are known for their hospitality and kindness. Continue reading and take a look at our choice of top 4 destinations in Croatia where you can spend an unforgettable Christmas. Start your Christmas adventure in the world's most beautiful city – Split! 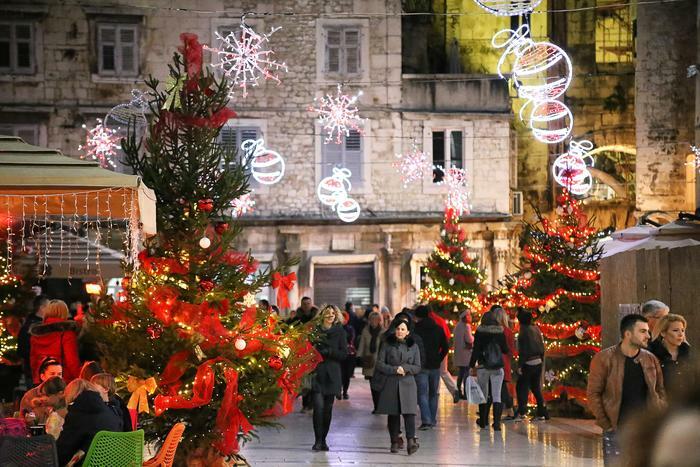 The second largest city has its traiditional event – Advent in Split, where you can enjoy beautiful Christmas decorations, mulled wine, traditional dalmatian specialties, buy souvenirs, and all while strolling through Riva on a sunny day. Also, there's the „Christmas fair” which is a excellent oportunity for getting aquainted with local culture. We recommend: the Christmas fair on Riva, manifestation Advent on Pjaca, various humanitarian events and kolende – that is, traditional Christmas songs performed by female folklore groups on town squares and cultural sites like Peristil or Prokurative. On New year's eve join the locals on Riva and say hello to the New year with a concert. 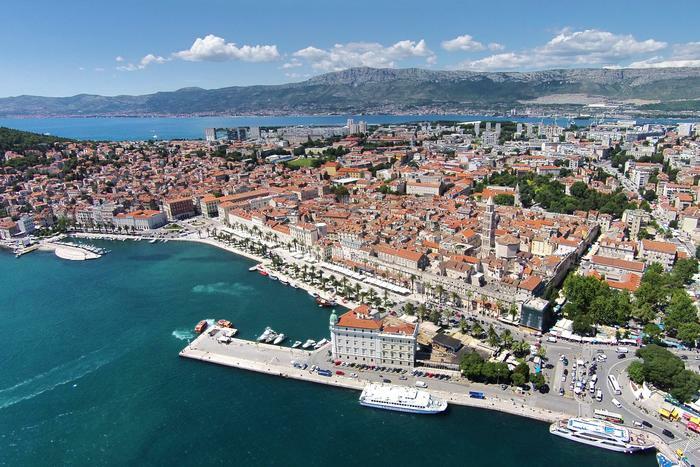 If you want to experience Split during Christmas time, book a good priced apartment in Split. 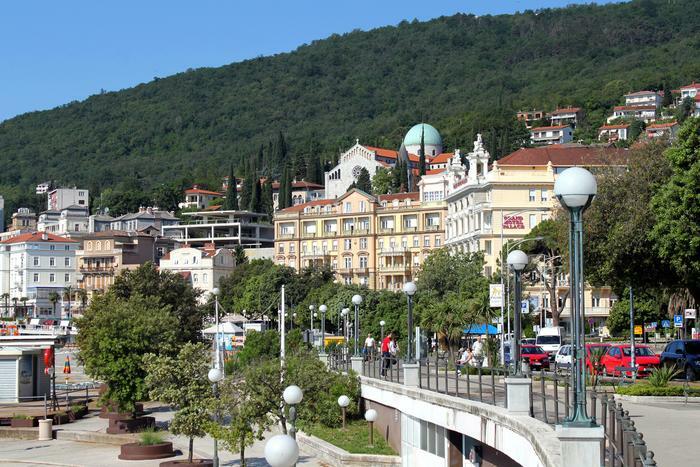 Although Opatija is one of the most visited summer destinations in Croatia, it's also packed full of interesting things to do in winter. One of the most interesting events is Advent in Opatija. Visit the ice rink by the sea. If you get a craving for sweets, visit the Chocolate Festival in hotel Kvarner's Crystal palace. If you're with children, take them to a daytrip to Nature Park Učka not far from Opatija in the middle of December where they'll meet a surprise – Santa Claus! The real one, who arrived from faraway Laponia just for them. If you don't know what Christmas present to buy for your loved ones head to the town market or „mrkat” as the locals call it. You'll find a diverse choice of authentic products, home made souvenirs that will serve as an original Christmas present. If you want to experience Christmas merriness in Opatija, book your room or apartment today. 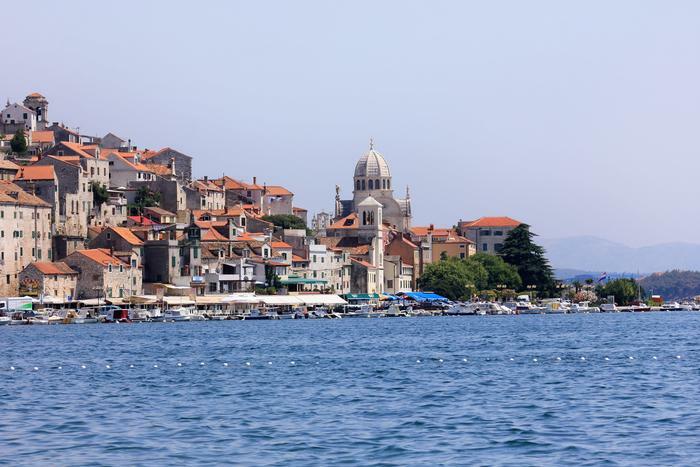 We're back in Dalmatia, where we are up for a special treat in Šibenik. The „Adventura” festival takes place there, also it's the only plastic free Advent event in Croatia. That means that all cutlery is made of natural and bio disposable materials. However, the most interesting and most important part of this event are music events where numerous popular Croatian musicians participate. Concerts are held in the city's centre. Children are also up for a treat! Adventurica is a special festival just for them and it includes face painting, hanging out with Santa Claus, Christmas disco and other fun activities. Book your accommodation on the Šibenik riviera and enjoy your very own Christmas adventure! In one of the most visited Croatian cities, the Winter festival (Zimski festival) takes place from November until March. The manifestation „Advent in the city” (Advent u gradu) is part of the festival. Most events take part in the old part of the city. Stroll along Stradun that has its very own traditional Christmas fair where you can try out local food, buy a souvenir, drink mulled wine on Christmas houses lined up along the square. Also make sure you check out Gundulićeva poljana where the manifestation Gundulić's winter dream takes place. There'll also be Christmas houses, concerts and many other surprises. Art lovers should visit the Art gallery in Frano Supilo street. The work of one of 20th century's most original artists – Francis Bacon – is exibited there. Also, all bus lines (Libertas) that lead to the city's centre are free – so make sure you explore as many places in Dubrovnik as you can. 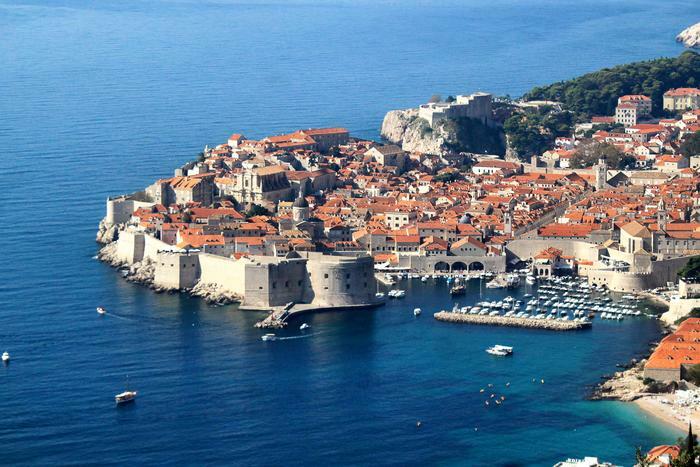 Book your apartment or room in Dubrovnik.